If you have any questions about the SHERGAR information page below please contact us. 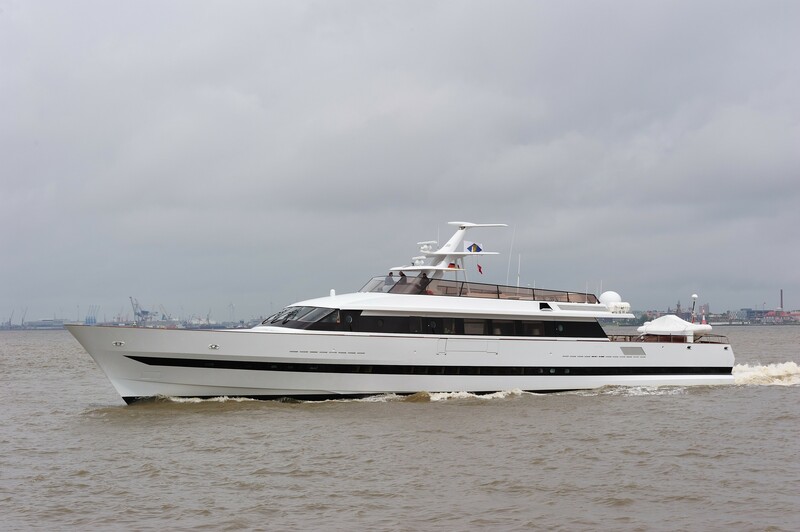 The motor yacht SHERGAR is a 47 m 153 (foot) spacious steel boat which was manufactured by Lurssen Yachts and devised by Gerhard Gilgenast and Pininfarina. Sleeping 8 guests and 8 qualified crew, motor yacht SHERGAR was formerly 13503 which was her build project name and/or actual name. Gerhard Gilgenast was the naval architecture company involved in the professional superyacht plans for SHERGAR. Gerhard Gilgenast and Pininfarina is also associated with the yacht wider design collaboration for this boat. 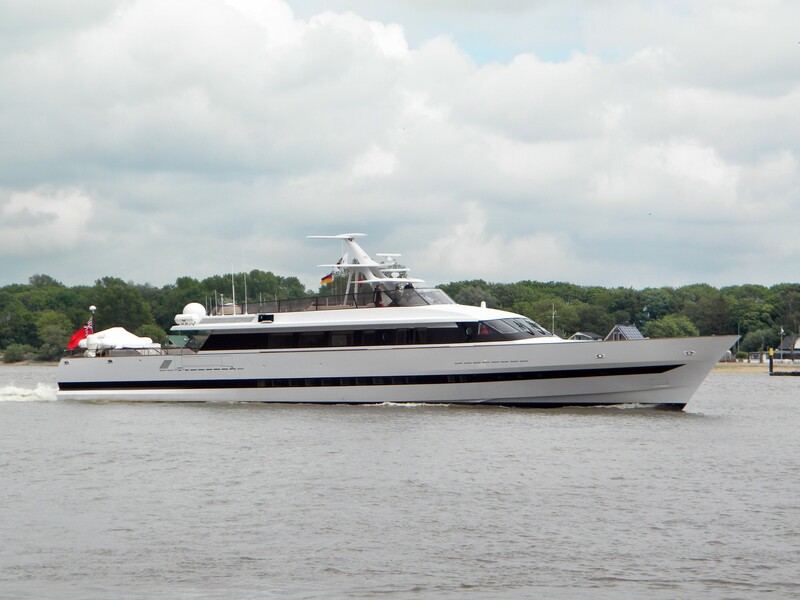 In 1983 she was formally launched with celebration in Bremen and following sea trials and detailing was afterwards passed on to the yacht owner. 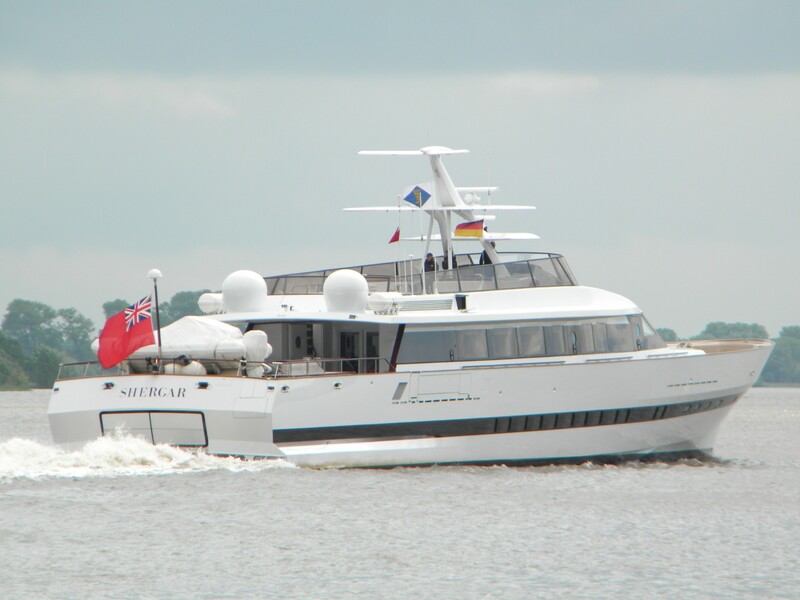 Lurssen Yachts completed their new build motor yacht in Germany. The main hull was constructed with steel. The motor yacht main superstructure is made predominantly from aluminium. With a width of 7.44 m or 24.4 ft SHERGAR has reasonable size. She has a reasonably shallow draught of 2.19m (7.2ft). She had refit maintenance and modification carried out by 2003. Installed with twin ALLISON/MTU codog engines, SHERGAR can attain a high speed of 45 knots. She is driven by tripple water jets (kamewa). Her total HP is 15740 HP and her total Kilowatts are 11582. With respect to the ship’s stabalisers she uses Vosper. 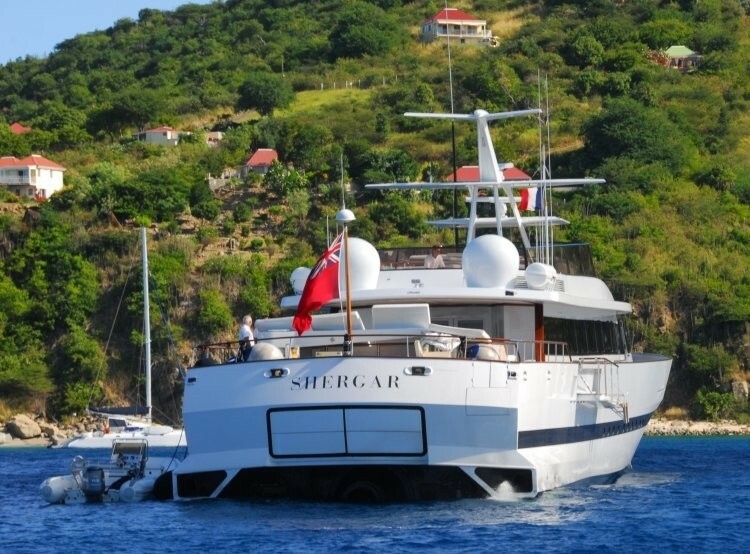 The generous luxury yacht motor yacht SHERGAR is able to accommodate a total of 8 passengers and 8 crew. Giving the combined power of 15740 HP /11582 KW. Cruising at a speed of 40 nautical miles per hour. Her top Speed is around 45 knots. The luxury yacht SHERGAR displayed on this page is merely informational and she is not necessarily available for yacht charter or for sale, nor is she represented or marketed in anyway by CharterWorld. This web page and the superyacht information contained herein is not contractual. All yacht specifications and informations are displayed in good faith but CharterWorld does not warrant or assume any legal liability or responsibility for the current accuracy, completeness, validity, or usefulness of any superyacht information and/or images displayed. All boat information is subject to change without prior notice and may not be current.